I bought a Holga! My camera collection is scary now. But! But each has its own purpose. I’m not a crazy cat lady who has 9 cats all for the same purpose of replacing children*. 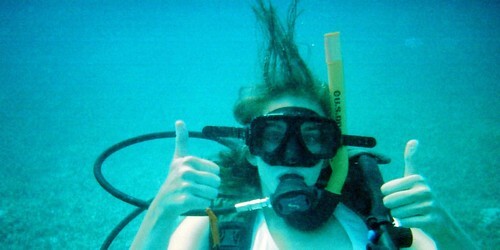 I am a crazy camera lady who needs to take pictures of knitting and landscapes and things that are under water. 1. 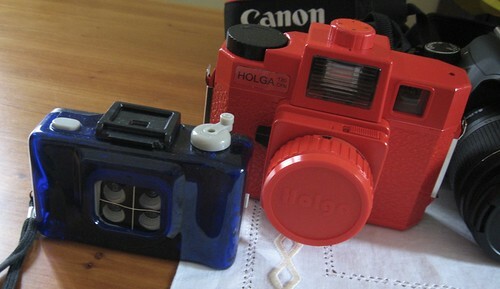 A Holga (first produced 1982; bought 2009). I like the style of the image that results from using a plastic lens, so I bought this on sale for $40. Please note: It normally retails for around $110, but because this is red instead of the cooler black body, it’s $70 cheaper. That is a $70 coolness mark-up! Of course, it may be that the black is better at blocking light from the back of the camera, but that can be fixed with a little electrical tape. No biggie! 2. An ActionSampler (first produced sometime between 1994 and 2000; bought 2004-ish). I added this to an eBay purchase when buying a Buddy Christ bobblehead for a friend of mine. It was $10 or so. The shutter rotates and takes four pictures spaced a fraction of a second apart. I believe this one has a plastic lens as well. I have yet to use up the first roll of film I put in this guy. Should use it up soon, so maybe I’ll take it on a pub crawl or my trip to Orlando. 3. A Canon Digital Rebel XSi (2008; 2009, still stoked about this purchase ). For blogging and general digital use. I’ve only had it for 2 months so I’m still learning how to shoot with it, but it’s showing promise! Now I just have to buy a faster lens so I can take pictures in the wintertime. 4. 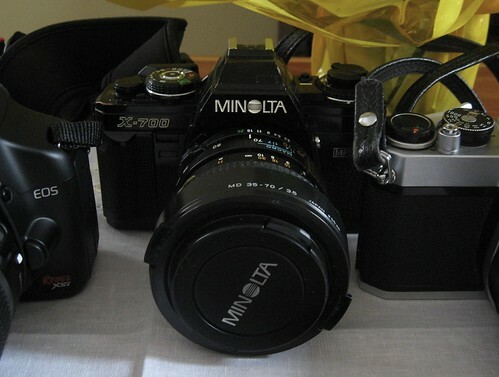 A Minolta X-700 (1981; not sure when I ended up with the current body, because it had to be replaced twice due to light leaks and shoddy repair). My favourite of my 3 SLRs is the Minolta, because I’ve had it the longest and have learned how to get the most out of it. The primary reason I like it is for the lenses; I’ve got both a macro and a 50mm (not to mention all the lenses I can borrow from my Dad), so I never have to worry about low light. The hot shoe means I also don’t have to remember to turn off the flash all the time! It also takes fantastic pictures. 5. 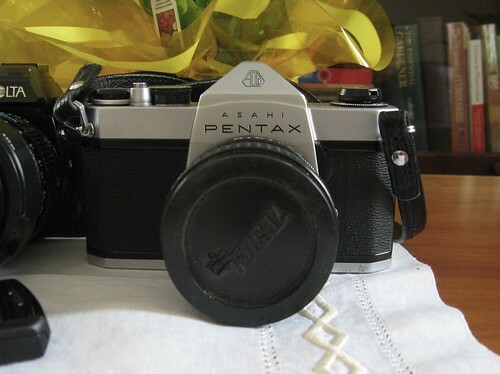 A Pentax Spotmatic SP1000 (1973; my gramps bought this at some point between ’73 and ’75). Not used this one yet, as it’s fairly new. I’ve definitely got an emotional attachment to this one because it comes from a short long line of amateur photographers in my family. It used to belong to my grampa, then went to my aunt and now me. She gave it to me because it was a “fixer-upper” and she thought I’d make more use of it than she could. I have been working on fixing it but I want to take it and all the lenses to a camera shop to check for fungus and have the batteries replaced. 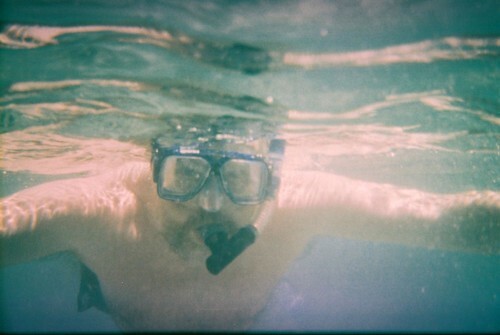 The Beau has the same camera, and I love his photographs so it’s a keeper. 6. A Samsung r610 (2008), bought because I wanted a camera with me at all times without having to lug the DSLR. So far, I have taken pictures of egg yolks (I got 9 yolks out of 5 eggs! ), some things in museums and an unusually large pile of cigarette butts, among other things. I know, this camera is indispensable, isn’t it? 7. 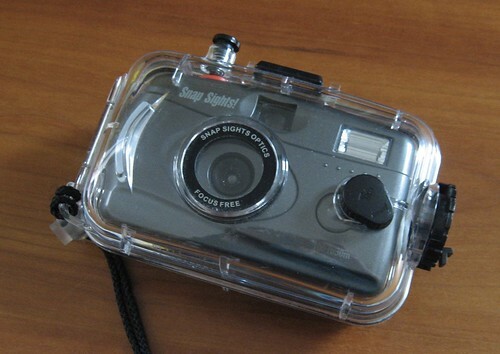 A waterproof housing for underwater photos and what I thought was a disposable camera that can actually be reused (bought in 2007), soon to be reused on my trip to Orlando where I will drag The Beau on a SCUBA-diving adventure. Not technically a 4realz fancy original camera (although there is technically a camera inside at the moment, and film can be put into it), but I am including it due to its ability to open avenues of photography otherwise closed to folks without a casing. That and I wanted a 7th thing on my list. This has been tested to 30m safely, but I took it to 50m with no problems. Photos are at the bottom of this post! I’ve also had a Canon A90 (a brilliant camera that I sadly lost; my mom owns an updated model on my recommendation), a Canon PowerShot S110 that finally bit the dust last year (notice a pattern? 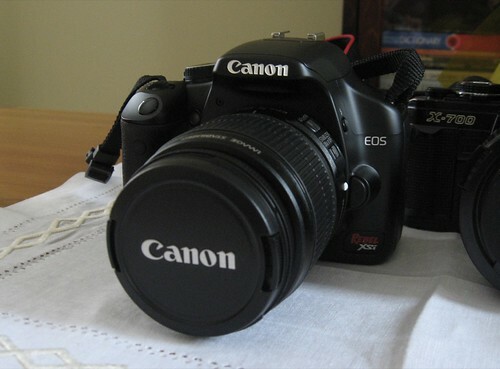 I love Canons!) and another camera that I don’t recall at the moment that was stolen in high school. Then of course there were a few point-and-shoots that I had in elementary school before I learned to shoot manual; I’d love to dig them up again and play with them! The next thing on my list is sort of dumb, considering the current situation with film procurement: I want a Polaroid. Hopefully people will start giving them to Value Village because they can’t find film, at which point I will snap one up and then wait around for a little bit until it starts getting made by another company. 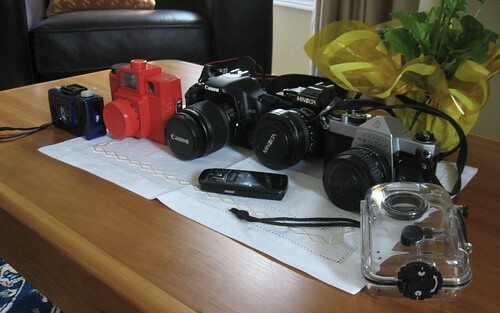 I also have plans to pick up a camera when I am in Bulgaria over the summer. Kievs look good; or maybe a twin-lens reflex of any kind, just for the A-factor. Any tips on Bulgarian camera shopping? 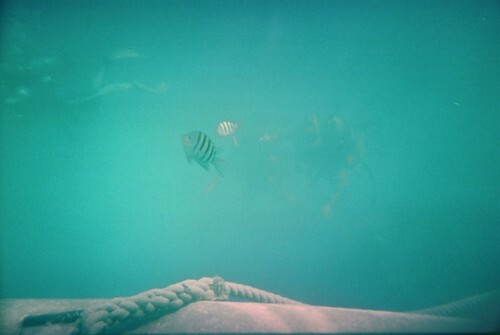 Bonus: a few pics from my first SCUBA dive and one from snorkeling. 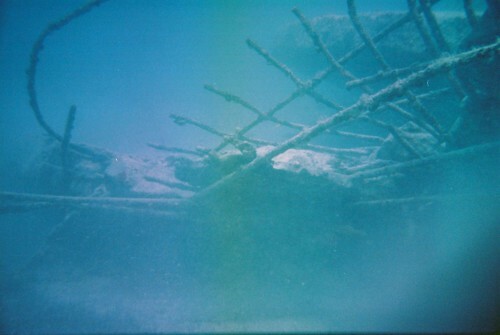 This was taken with the underwater camera. * I have the daily puppy for that. Ive got a Minolta X-300 (same lens as you’ve got in the pic – amazingly sharp), and Canon EOS 400D – love them both! Pick up the Canon 50mm 1.8 if you haven’t already. Oh definitely! I’m thinking of getting it for myself for my birthday. Yay for self-presents! The 50 is a great prime, this comparison will let you know if you need to spend the extra bucks for the 1.4… If you’re looking for something versatile that is ridiculously fabulous that will make you feel strangely tingly, get the 24-105 L-series f4. It is dreeeamy. This entry was posted on March 13th, 2009 at 7:06 am and is filed under Photography, Story of my Life. You can follow any responses to this entry through the RSS 2.0 feed. Both comments and pings are currently closed.